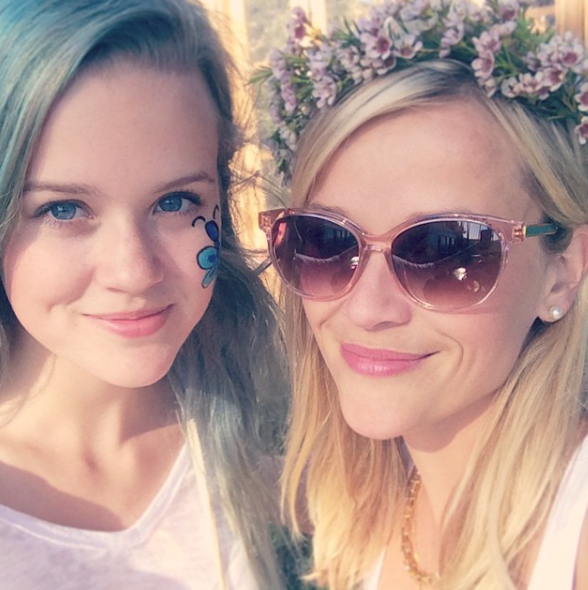 Looks like the Witherspoon genes run strong because Reese’s daughter is her mini me. Ava Phillippe is now 16 and is the absolute spitting image of her actress mom, but bears almost no resemblance to her dad, Ryan Phillippe. Her parents, who met whilst costarring in the cult classic Cruel Intentions, may have called off their 7-year marriage back in 2008, but have remained close for the sake of their kids. Back in 2013, media first started to take note of how similar this mother-daughter duo was, but when Reese posted this super cute snap to her Instagram last week the Internet basically lost its marbles. Not only has she totally grown up, but she is drop dead gorgeous and has some killer style to match. With those good looks, and maybe a little help from mom and dad, we predict a future in showbiz. Check out these snaps of Ava and prepare for some major jealousy pangs over her epic pastel hair do.